A retail management system (RMS) is a platform that combines several useful tools to aid in running a retail store or chain, such as inventory management, point of sale (POS), and customer relationship management (CRM). Retail management systems can help store owners by providing multiple services in one place, streamlining the process of running a store. Everyday tasks such as managing and buying inventory, checking out customers, scheduling employee shifts, and keeping track of finances are easily completed using one solution. Some platforms are even compatible with mobile devices, so these tasks can be done anywhere in the store. By only buying one platform for your business, rather than several, you can ensure that all the systems will share information and work well together. Some platforms will even have marketing and analytics tools to help you improve your business. Common components of retail management systems are inventory management, workforce management, POS, accounting, CRM, and analytics. Some products will have marketing or e-commerce tools to help with online business. Some platforms will offer physical hardware such as card readers and cash drawers that interface with the software; however, many will be able to integrate with your existing hardware. Retail Management System reviews by real, verified users. Find unbiased ratings on user satisfaction, features, and price based on the most reviews available anywhere. eFacto-Retail Software is a comprehensive retail ERP (Enterprise Resource Planning) for retail and distribution companies. That is comprehensive Enterprise Resource Planning for retailing and distribution to the companies and to generate automatic and manually reports e-mailing. emnos offers category growth and personalized communication solutions for retailers. 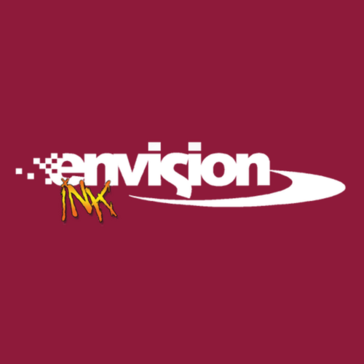 From management to marketing, retailing to reporting, Envision Ink Software provides the tools needed to grow business. It is our job to make your daily transactions simple and smooth, allowing you to concentrate on what's really important, the guests in your studio. E-rmis is an omni-channel retail system to manage the movent of stock and data that includs visibilty, operational managemnt, and control of stock and reporting. ERP for Direct Commerce handles the entire life-cycle of your day-to-day business operations (from sourcing your inventory through to depositing funds from completed orders). 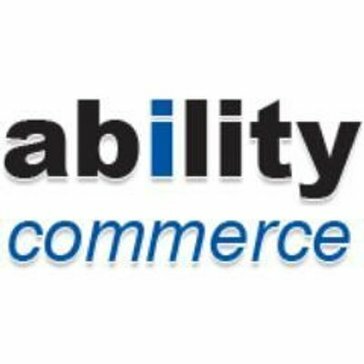 Etail Solutions provides integrated sales, fulfillment, and supply chain automation solutions for online multi-channel retailers. ETP V5 is an enterprise class retail software solution developed with the scalability for business growth and is integrated with inventory and merchandise management, customer service and POS, loyalty and CRM, and more. Everest Software was founded in 1994 to enable retail and wholesale organizations to manage every function of their business more effectively. Every Store Perfect is a workforce management tool. Fashion-Ware is designed and developed from the ground up by an independant fashion retailer as an integrated business management solution focused on their needs. It encompasses all of the function required to operate and manage your business from order control through sales analysis and financial reporting. FieldStack is an integrated lean retail software system for mid-size and large retailers. Finac Retail software is a SAAS based retail software for SMEs retail business. 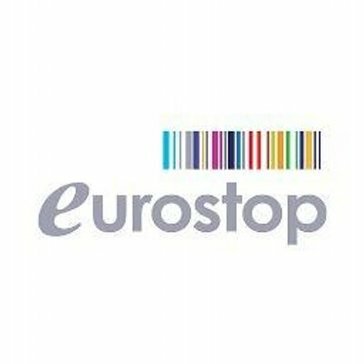 Orpak’s ForeSite is a modular and fully scalable end-to-end automation solution for retail service stations, with the ability to add convenience store management. Franchise 360 is online software that enables franchise growth. Franchise 360 is online software that enables franchise growth. It can be modified to suit any franchise model. The out-of-the-box product includes CRM, recruitment, network management, financials and operations management, pay-as-you-go pricing and inclusive support. Brings you control of your brand, marketing and franchise management at a global, regional and franchise level. With a powerful and flexible suite of content curation, syndication and territory management engines in one multi-regional, multi-lingual franchise software package you have control over your franchise for marketing and franchise management. Frogmi enables real time monitoring for your point-of-sale, solves business problems and manage your field team that can be used from any device. Futura Retail helps you to avoid lost sales, achieve optimal stock levels across all your channels and engage customers to maximise loyalty. Systems cover stock management and control, loyalty card software, and merchandise planning, all with fast access to live data to drive accurate decision making. Ginesys is a retail and manufacturing enterprise software from Ginni Systems Ltd. The product has various modules like Retail Management Inventory Management Procurement Sales & Distribution Accounting/ Finance Production Loyalty Gift Vouchers Replenishment Point of Sales (POS) It is an on-premise solution with desktop based POS. The data between the central application and the POS synchronizes automatically. Businesses using the product are mostly in apparel and lifestyle consumer goods retailing and/or manufacturing and supermarkets. GoFrugal Retail will help manage day-to-day decisions with control on master idea, control inventory movenements from a central warehouse or at individual stores and coordinate purchase with suppliers and more. GoldTech Retail Manager is designed to help you maintain control over your business preformance and procedures that includes, POS, inventory management, customer managmenet, loyalty, reporting, and more. Goods Order Inventory Management System Pro (GOIS Pro) is an innovative cloud-based inventory management solution which supports all platforms includes android and iOS. gxCommerce is suite of applications including CRM, accounting, point-of-sale, inventory, support and more for iPad, iPhone, Android, tablets, Mac and PC's. Easily scale your business into one application in the cloud. HDPOS Smart is a billing and accounting software designed for retail businesses. HDPOS smart is a billing software for apparel, garment and footwear businesses. Highline Software provides a retail platform that supports mobilePOS, inventory, CRM, gift cards, loyalty, iBeacons, passbook, big data analytics, open APIs in one unified cloud based application. InBloom Resale is a cross platform software based on consignment - perfect for resale shops, retail stores, auction drop off businesses, art galleries, and more. Print check payments to consignors, manage inventory, research your price history & trends, perform reports, beautiful and fully customizable price tag printing, point of sale functionality, barcoding, and more. A single dashboard to navigate eons of retail data. intale provides sales analysis and market insight advisory services for retail businesses. The IQ Business solution is business management software for the distributive and retail trades. Iridium Business Management Software is designed to encompass and integrate all aspects of operations management. Briefly, IZBERG provides the most advanced Marketplace platform on the market, allowing mid-size and large companies to increase their revenues, lower their costs, and offer an outstanding shopping experience to their customers. JDA offers one-stop shopping for all your site-based operations management needs. JDA Enterprise Store Operations optimizes all your back-office activities, freeing your management team to focus on serving customers, growing sales and building your brand. KENMerchant enables retailers to convey an E-2-E retail software solution that unites POS, CRM, ecommerce, inventory, marketing and finance on a single platform. Real-time intelligence and automation for a connected world. Powering the Internet of Things with precise localization and edge analytics. Kiwapp Retail is a solution designed to create and share apps and forms for retail and sales teams on mobile devices. Complete Accounting and Workshop management software for tailoring shop and boutiques. Market Track helps brands maintain their price integrity and sell more products through actionable insights that are derived from timely, near perfect ecommerce data. Specifically, Market Track delivers Price Intelligence, MAP Monitoring, and Where To Buy Solutions brands love. Price Intelligence makes tracking consumer sentiment of your products, while staying on top of your online competitors, easier than ever. Our product catalog contains 100+ million products and tracks 1.5+ billion offers across many thousands of brands. MAP Monitoring identifies which sellers are violating MAP across your catalog, records detailed violation history, and helps you enforce brand policies. Includes full case management capability. Supports MSRP, UPP, PMAP, UMRP and other resale price maintenance programs as well. Where To Buy connects shoppers to retailers from your website, social networks, and other digital marketing channels, providing end-to-end tracking and sales attribution. Market Track also partners with agencies planning and buying for brands' product campaigns. MediVision Gold Retail software is a management software designed for medical, pharma and drug shops. Mi9 Retail has been empowering retailers with leading-edge enterprise software solutions for 15 years and has developed the only enterprise-grade Merchandising and Business Intelligence solution on the market available as a single product. This enables the software to process high volumes of transactions in real time, optimize inventory across all channels of the business, provide a single, accurate source of the truth, reduce the costs to implement, as well as maintain and provide the industry’s fastest time to value. As a customer-centric company exclusively serving the retail market, Mi9 Retail collaborates closely with customers to define the product development road map ensuring customer satisfaction and success. New technologies are utilized to keep products current as well as to future-proof customer investments. Mi9 Retail focuses on delivering great software and support while minimizing the need for professional services. It is important that meaningful, high ROI solutions are delivered with each major product release and that all customers are guaranteed an upgrade path to the latest version of the product, regardless of which version is in use. MMI XPERT is a Complete solution for small and midsize retailers, wholesaler and Manufactures operating everything from a single store to a whole chain. It is comprehensive and scalable for those business focusing on significant growth. MONK BILL is a Retail billing Software Solutions are designed to give the high level of solutions to the small & Independent Stores, Retailers and Large & Multi Store Retail chain. MultiFlexRMS is a small & medium business POS retail inventory system created for single or multi-store, multi-state, multi-country retail operations and integration between your online eCommerce and physical stores. myFiO OMS is a light weight order management solution made for small and medium sized businesses that automates the order processing and multi-channel selling process. MyGadgetRepairs is a repair shop that gives you invoicing, ticketing, point of sale, and recurring invoices. MyHomeGrocers is an online grocery store platform designed for fast same day delivery service. Who Uses Retail Management Systems? Retail management systems provide a retailer with a variety of tools, all housed on one platform, to help run their store. By handling the vast majority of store operations, an RMS can streamline day-to-day operations and help small retailers save a huge amount of time. And with all the sales data gathered by the RMS, a store can run more efficiently and devote more time to each customer. Since most of a retail management system’s functionality revolves around point of sale, much of the platform’s data is obtained from daily transactions. Inventory management features, for instance, are tied to the POS feature, updating inventory in real time as sales are made. The main advantage of retail management software is the interconnectivity of all the different features, all of which help with the everyday chores associated with running a retail business. RMS is used by retailers and those who would have a need to use POS software to sell goods or services. Retail management systems are useful for both small and large retailers because they package many features into a single package. Small retailers don’t need to purchase multiple systems to run their business, and large retailers can house all their data in one place. On a day-to-day basis, RMS technology is used by store employees—often via a POS screen— store managers, and store owners. Retail management systems are designed to be user friendly despite their wide array of functions, so every employee should be able to use it on a daily basis. Inventory management – Inventory management – Inventory management is crucial for all retailers, regardless of whether their store is brick and mortar or online. Retail management systems are capable of tracking inventory in real time as sales are made through the POS feature of the platform. Retail management systems can also help with purchasing new inventory by tracking sales trends, so the business always has hot items in stock and doesn’t over-purchase items that are just sitting on the shelf. POS – Retail point of sale features are extremely important for the retail industry. POS is how retailers exchange a customer’s money for their goods or services. POS features are where the most data is gathered, as it is the place where customer data and inventory data collide. Retailers can see which customers are buying which inventory, and that provides information that can help a business grow. Loyalty management – The goal of any business is to attract more customers, and for a retail business that includes attracting repeat customers. Loyalty management features can help retailers set up a program that uses incentives to attract repeat business or entice lapsed customers to return. Often this takes the form of point systems (points are accrued by making purchases) or gift vouchers. Analytics – Accurate data is important in every industry, including the retail industry. Since retail management systems deal with almost every aspect of a retail business, they can collect data from the various corners of their business and create analytics that provide a clear picture of its performance. With this data and analysis, retailers can make informed decisions based on where they are performing well and where they need to improve. Mobile functionality – With more and more technology moving to the mobile sphere, it’s only a matter of time until the retail industry does as well. Many retail management solutions are built to run on mobile devices such as tablets, providing POS functionality anywhere inside a store or outside a store altogether. This is extremely useful for e-commerce businesses who function entirely online. Customers and owners can then conduct business whenever and wherever they choose. Marketing – Marketing is a surefire way to get people in the door, so many retail management systems will have some sort of marketing feature. These features may help retailers manage their social media presence or create email campaigns. Employee management – Retail businesses often have unique employment needs, particularly around the holiday rush. Employee management features can help retailers schedule their employees’ shifts and create onboarding timelines for new employees who need training. Given the large amount of data collected by the retail management system, business owners and managers can ensure that busy times have enough workers on the floor and slower times don’t have too many. Hi there! Can I help you find the best Retail Management System solutions?